President Jacob Zuma was in statesmanlike form as he briefed the diplomatic corps in Pretoria, reassuring ambassadors that South African foreign policy is still inspired by Nelson Mandela – even if the African National Congress is saying something different. His major policy announcements, however, tell a different story. By SIMON ALLISON. Last month, the African National Congress (ANC) lit a time bomb under South Africa’s delicate relationship with the western world. In a discussion document released ahead of its national general council, the ruling party abandoned diplomacy in favour of bombast and conspiracy. The western world, and the “imperialist” US in particular, came in for stinging criticism, while China’s leadership was lauded as the “guiding lodestar of our own struggle”. The document sent shockwaves through the diplomatic corps in Pretoria. Was South Africa about to abandon its decades-long strategy of neutrality? Was this the preamble to some kind of formal allegiance with Beijing? On Tuesday, President Jacob Zuma delivered a briefing to ambassadors at the Sefako Makgatho Presidential Guesthouse, ostensibly to discuss South Africa’s international relations ahead of the United Nations (UN) General Assembly in New York. But the subtext was clear: this was about soothing ruffled feathers, about reassuring nervous diplomats that nothing had changed – for now at least. Zuma explained that South Africa’s foreign policy was based on the Freedom Charter, and was dedicated to building “a better Africa and a better world”. He outlined four foreign policy guidelines drawn straight from Nelson Mandela’s seminal essay on the subject, including commitments to: promote human rights and democracy; respect justice and international law; promote the African Agenda in world affairs; and spur economic development through regional and international cooperation. He didn’t mention China at all, or the US’s neo-colonial agenda. 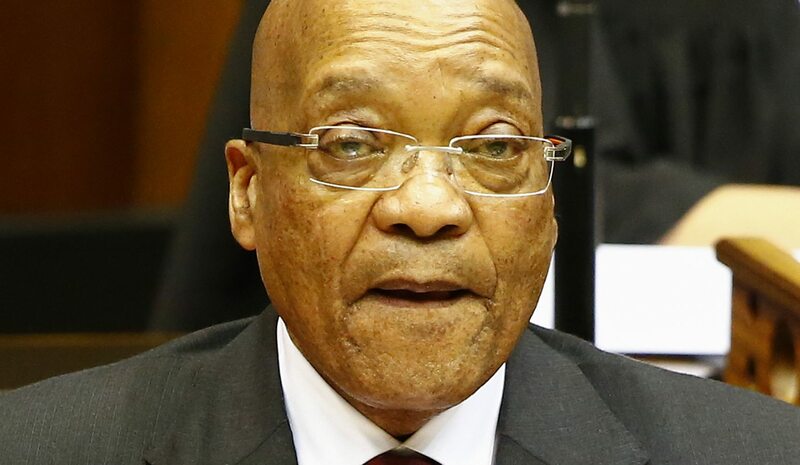 But Zuma wasn’t done – and while his language was a lot more grown up than that used in the ANC discussion document, he pulled no punches on several key issues. Zuma was most strident on the subject of the ongoing refugee crisis in Europe. Going completely off script, he laid fault for this firmly at the door of Europe itself. He said that there was no refugee crisis while Muammar Gaddafi was in charge of Libya, and that the bombing campaign led by the North Atlantic Treaty Organisation (Nato), which destroyed him and his regime, was responsible for destabilising the region. Given that all Syrian opposition groups are non-state actors, be they Islamist or pro-democracy, Zuma’s statement can only be read as an effective declaration of support for Syrian President Bashar al-Assad’s regime. In this, the South African position is closer to that of Syria’s strategic allies Iran and Russia, and in stark contrast to the policies of Europe and the US. Zuma was most convincing when he spoke about the need for reform of the UN, again departing from his prepared speech. Even if genuine reform remains little more than a mirage, there’s no doubting the strength of the argument demanding change: “South Africa will use her participation in the (UN General Assembly) to continue our relentless work to achieve the reform of the UN, especially of the Security Council, which has a key role to play in promoting world peace and security. “In this context, developing countries will also advocate for the reform of the UN system to make it more responsive to the interests and needs of the majority of its members – developing countries. Africa is a continent with more than 1-billion people which is not represented at the UN Security Council as a permanent member. That means a world that is supposed to be just cannot have more than 1-billion people represented at a decision-making level. It is a serious matter,” he said. Photo: South African President Jacob Zuma answers questions from opposition parties in parliament, Cape Town, 06 August 2015. EPA/NIC BOTHMA.